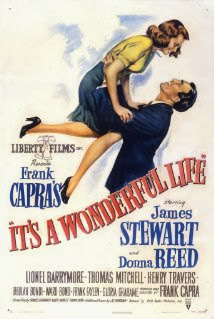 How many times have you already watched “It’s a Wonderful Life” this holiday season? Clarence, an angel who needs to earn his wings, comes down to earth to help a despondent George Bailey, who is contemplating suicide, to show George what life would have been like if he never existed. It’s a fairy tale, but we watch this uplifting tale over and over because we all need reminding that we matter…that the world wouldn’t quite be the same if we were not in it. Clarence: (explaining) Your brother, Harry Bailey, broke through the ice and was drowned at the age of nine. 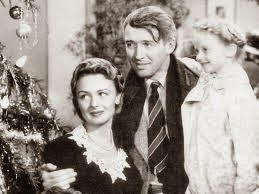 George Bailey: That’s a lie! Harry Bailey went to war – he got the Congressional Medal of Honor, he saved the lives of every man on that transport. Clarence: Every man on that transport died! Harry wasn’t there to save them, because you weren’t there to save Harry (when he broke through the ice). What would the world be like without libraries? You sent for me sir? Yes, Clara, People on earth need our help. No, worse. They are not appreciating their libraries. You will go to earth and show the people what the world would be like without libraries. Clara, you do a good job showing the people how valuable their libraries are and you will get that funding. The stars fade out from the screen, and a light, an indistinguishable blur is seen. The blur on the screen slowly begins to take form. We see a group of young boys on top of a snow-covered hill. 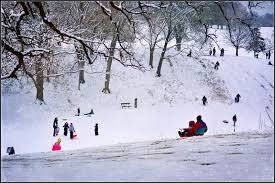 A group of boys is preparing to slide down the hill on large shovels. One of them makes the slide and shoots out onto the ice of a frozen river at the bottom of the hill. Yippee! 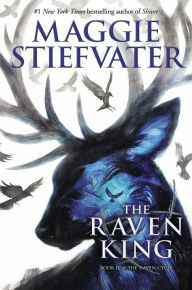 I can’t wait to get to the library and get the last book in the Raven Cycle series. All the kids are reading that right now. You idiot. Don’t you read the papers? All the libraries have closed. Everyone took them for granted and they disappeared. BOY: (crying) Oh, no. My dad lost his job and said there is no money for anything extra. How will I get that book? Sorry, honey. I have been looking for a job for six months now and there just isn’t anything. 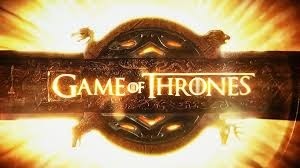 I had to cancel our Netflix, newspaper, Book of the Month, magazine and investments subscriptions. And we can’t afford our Internet access anymore either. But we can always go to the library for free DVDs and books and can read the magazines and newspapers there. We can use their computers and I know they have investment materials too. Oh, George, haven’t you heard? There are no libraries anymore. Oh, no. I was taking their free computer classes to improve my computer skills to help me get that job. And the librarians were so helpful when I needed assistance filling out the online job application forms. What am I going to do? Well, at least we can go to Starbucks for internet access, can’t we? I had to sell the laptop. Remember the last time we were asked to vote to support the library and we thought it was too much? Now that we have to buy our books, DVDS, subscriptions, Internet access, investment newsletters, and all of the other services the library provided, what will it cost us? I can’t even contemplate it. When I put it all together, what we would have to pay to get everything we were able to get at the library – all in one place – it was really a bargain. I guess I will have to give up my genealogy research too. I was using Ancestry and HeritageQuest at the library. They provided those databases for free. Even if we had a computer and Internet access, we wouldn’t be able to afford our own subscription. What will I do? I had just found my ancestor from the Revolutionary War, Ezekiel Tufnell. OTHER BOY (let’s call him Bill so I don’t have to type OTHER BOY all of the time) is sitting at the table with his mother, Mary, and his little 3-year-old sister, ZAZA. Mama, Mama, can’t wait to go to library to see Miss Susan and hear stowy. Oh, Zaza, Mama is so sorry. There is no library anymore and Miss Susan is gone. She had to move away because people didn’t realize how important her story times were and how many children she was helping with the skills they needed to be successful in kindergarten. Last I heard she was working in a diner in town. Mom, I need you to help me with my algebra tonight. Oh, Bill, you know I’m not good at math. Can’t you use the Homework Help at the Lib…Oh, no….No more free Homework Help either. And where will I go tomorrow after school when you are at work? You know I always go there to get my homework done and use the computer. 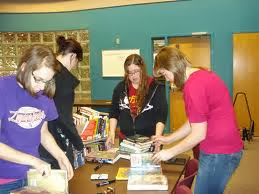 The teen librarian has some great programs on Wednesdays for teens too. Oh why did I take my library for granted? 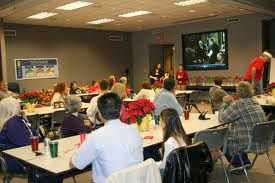 Several adults of all ages are sitting around a table. I am glad we can meet here for our book club now that the library is closed. I hear Maury and Angela won’t be joining us anymore because they can’t afford to buy the books. I don’t think people realized what an asset the library was for people like us. 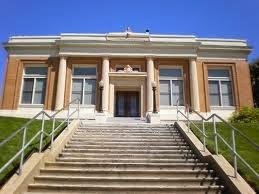 I’m a senior on a fixed income and going to the free programs at the library enriched my life immensely. It also got me out of the house to meet my friends and other seniors. I don’t know what I’m going to do now. My cousin has his green card and was taking citizenship classes at the library. Who knew? Those were the only free classes available. Not sure what he will do if he has to pay someone. He was also getting help with his English at one of their English as a Second Language classes. I was going to the library to get help researching my book. The librarians were really helpful with the computer and making sure I was getting accurate information. I don’t know what I am going to do now. And without libraries, I am sure book sales will suffer. Libraries buy a lot of books! I didn’t really think about the library. I just thought it would always be there. An indistinguishable blur is seen. The blur fades to a starlit sky. Strange, isn’t it? Each library touches so many lives. When they aren’t around it leaves an awful hole, doesn’t it? I think you made your point, Clara. CLOSE SHOT - Back to the present –Zaza and her mother and father hearing a bell ringing on their Christmas tree. Look Mama. 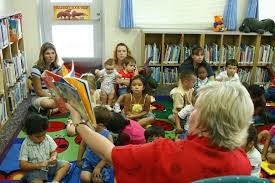 Miss Susan, the children's librarian, says, every time a bell rings a library gets funding. I said it was a fairy tale. See you here Friday for the Week in Reviews! Dear Rosy, I love this post. I feel exactly as you do about the library. Now that I am semi-retired, I find it an indispensable part of developing structure and direction to my new life. This year, my husband and I started volunteering there, delivering books to those who are unable to come in. And by the way, I'm really enjoying your sense of humour in your other posts! Thank you so much, Caroline, and thanks for supporting libraries. They need people like you! And it's especially wonderful that you are taking books to people who can't get to the library. If you have been reading my other posts, you know that I retired almost exactly six months ago and I, too, am trying to develop structure and direction in this new life of mine. My blog is one of those things. Thanks for the kinds words and Happy New Year to you, too!